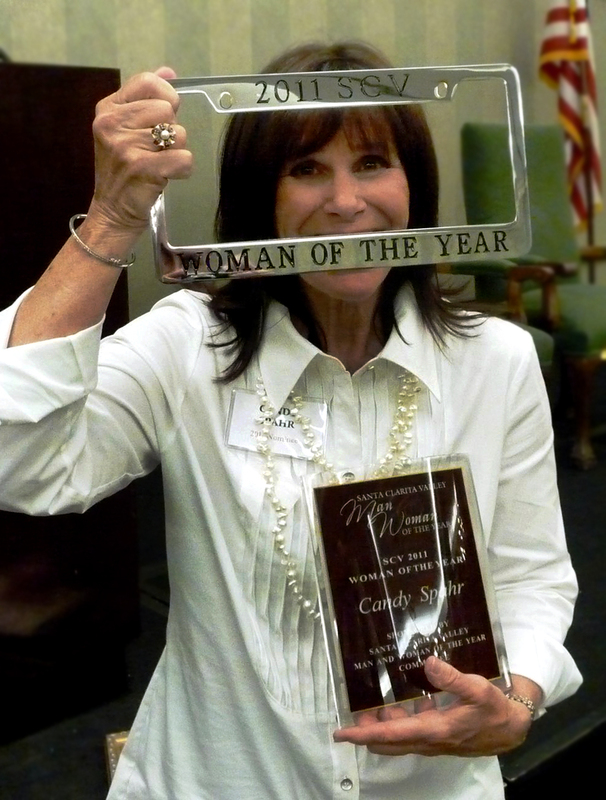 Candy Spahr, 2011 SCV Woman of the Year. By the SCV Man & Woman of the Year Committee | May 6, 2011. Candy Spahr was born November 12, 1948, in Pittsburgh. She is the second daughter of Edward John and Dorothy O'Brien Lauth. She was baptized Carol Ann but her family called her Candy because she was such a sweet baby - a trait that continues to today. Candy's dad was a Navy doctor who left the service to start private practice. When she was 4 years old the family moved to Miami where two more sisters and a brother were born bringing the kids in the family to four sisters and one brother. After graduating from Notre Dame High School in 1966, Candy returned to Pennsylvania to attend Gwynedd Mercy College in Gwynedd Valley, a northern suburb of Philadelphia. During her sophomore year she met Brad Spahr, a midshipman at the US Naval Academy on a blind date at the Navy- Notre Dame football game in Philadelphia. Their meeting was actually an accident since both were supposed to be with other classmates but it was one of those mistakes that worked out just fine. Notre Dame won the game but Brad won the girl. The couple was married in June 1969 in Candy's home parish in Miami. Following a beach honeymoon they went to Pensacola, Fla., where Brad started primary flight training as a Navy pilot. Six months later it was off to Corpus Christ, TX for advanced flight training and it was here that first son Bill was born. The day after Bill's birth hurricane Celia hit the Texas coast. With winds topping 165 mph it was one of the biggest storms to hit Texas in a century. Candy and Bill were still in the hospital when the storm hit and as winds built during the night the hospital started to blow apart. At the height of the storm the new Moms were brought into a central part of the hospital and told to "sit down with their backs to the wall." Each mom was given her baby and a pillow with the instructions to "put the pillow on your lap and the baby on the pillow and bend over to protect the baby because we think the roof is going to blow off". Fortunately the roof held and moms and babies returned to their rooms through ankle deep water and broken glass from blown out windows. Brad got both home safely and sent them on the next day's flight to Miami for safe keeping until power and water were restored. Following completion of flight training Candy and Brad packed up Bill and the family dog in an MGB and headed north to Virginia for systems training and finally to Quonset Point, Rhode Island. Less than a week after joining his new squadron Brad left for a six-month cruise and Candy was left to take care of the baby and the house. By the time a second 6-month deployment was scheduled to begin Candy decided to take matters into her own hands. After the ship's departure she packed up the house, put everything in storage and took Bill on a three-month adventure with a number of other squadron wives traveling around European and meeting the ship when in port. Late in the Quonset Point tour of duty, the Navy decided to move the Air Wing to Florida so the baby and dog were packed up one more time for a move to Jacksonville. Three weeks after completing the move, Brad received orders to test pilot school and was off to jet training the next week. Candy was left with the job of breaking the lease, packing up the house one more time, arranging the move and house hunting in Patuxent River, Md. It was definitely good training for her future of taking charge and running events. Although test pilot school required 70 and 80 hour work weeks, there was some spare time available as second son Chris was born in the Navy hospital in April of 1974. Fortunately the circumstances of his birth were a lot calmer than those of his brother. In 1977, shore duty came to an end and it was time for another move. This time it was back to Jacksonville, Fla., where Brad joined ship's company of the USS Forrestal as catapult and arresting gear officer. When the tour was complete they sold the house, packed up a Volkswagen bus and 1964 Mustang and drove cross country to California where Brad had landed a job as an engineering test pilot with Lockheed. On the advice of his new boss they bought a home in the Santa Clarita Valley. After living in 12 places in their first 10 years of marriage, the Spahrs had found a home. Man & Woman of the Year honorees receive a license plate frame for themselves and a cash donation for a charity of their choice. It was here that Candy started volunteering, first as coach of the Sierra Hills Swim team where both sons competed. She coached the team to its first win ever. While raising two sons she participated in anything that had the word "Mom" in it: room mom, team mom, volunteer mom for soccer and football and especially, "Mom, make him stop." She has been an active member of St. Clare parish where she manned the barbecue sandwich booth for years, helped with the fish fry and served as a Eucharistic Minister. She also finished her degree taking classes at College of the Canyons and Cal State Northridge and worked as a kindergarten and first grade teacher in the Sulphur Springs Union School District. In 1999, Cristi Ferran, daughter of family friends who had moved back east several years earlier, asked if she could stay with the Spahrs while she job hunted after completing college. While she was staying at the house, she and second son Chris renewed an acquaintance from Canyon High, which both attended when the Ferrans were living in Canyon Country. Chris and Cristi were married in 2001 and now live in Los Osos in the Central Coast with their children, Carson and Carmen. At Chris and Cristi's wedding, Chris' older brother Bill and Cristi's older sister Michele renewed an acquaintance that went back to working together at Honey Baked Ham during high school. Michele was a single mom with 3 kids living in Virginia and Bill was working for a publisher in Colorado. The relationship may have been geographically improbable but love conquers all. A few e-mails blossomed into a long-range relationship and finally a wedding in 2004. With the addition of grandson Aidan they now have four children. · Four-time chair of the SCV Relay for Life, a 24-hour event that has become one of the largest grossing non-profit fund raisers in Santa Clarita. Annual gross from this event topped $500,000 in her last year of chairmanship. · Written training material and mentored volunteers from other areas to assist the start of new Relays for Life. 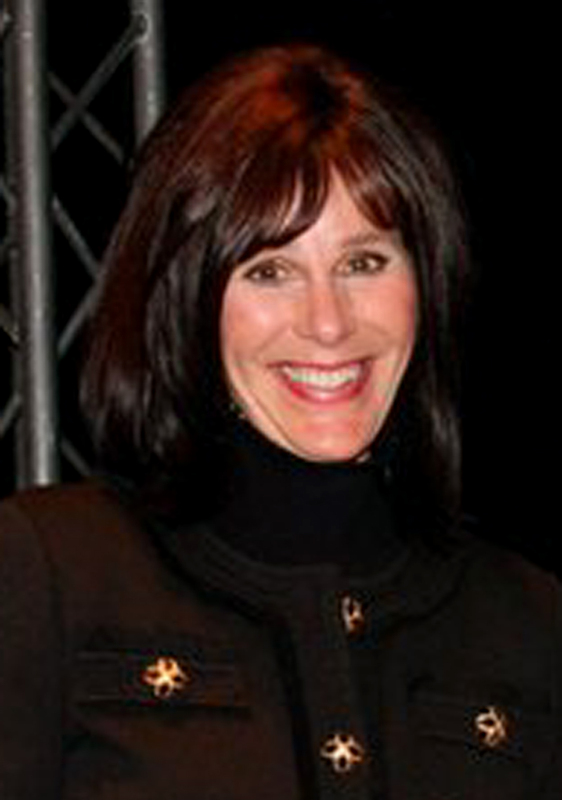 The SCV Man and Woman of the Year Committee welcomes the 2011 Woman of the Year, Candy Spahr.